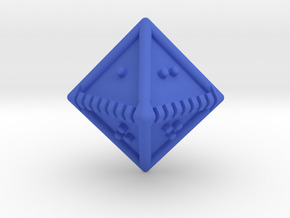 When I looked at the cost of getting twenty-sided and twelve-sided dice printed, let alone the high detail needed to print usable dice, I realized that we had to offer a different kind of dice set. One that was less expensive and easier to print. So I came up with a 4 die set that can emulate any dice roll a normal polyhedral set can provide. The first die in the set is called The Lightning Die. 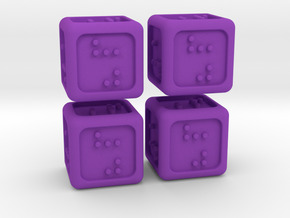 This is a rectangular die with rounded ends and four die faces. Two of the faces are blank, the remaining two have tactile lightning bolts. The other three dice are multi-purpose dice. 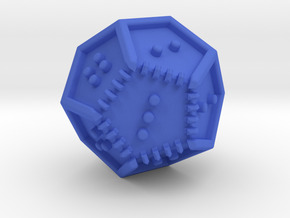 The six-sided die also serves as a twelve-sided die when rolled with The Lightning Die. The number six on the die has been replaced with a tactile lightning bolt making it easy to denote the high number on the dice. When rolled by itself, the die generates the normal 1-6 values. 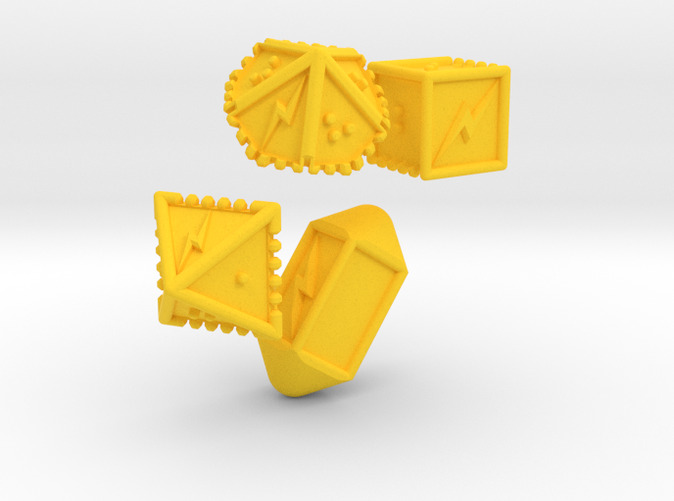 Now, if you need to roll a d12, simply roll The Lightning Die with the d6. If The Lightning Die lands on a blank side, the d6 has a value of 1-6. If The Lightning Die lands on a lightning bolt, the d6 result gets added to “6” to create a value of 7-12. The eight-sided die has the numbers 1-3 and a lightning bolt on both halves of the die. So when rolled by itself, it always roll a value of 1-4, the lightning bolt representing the number 4. If you need to roll a d8, simply roll The Lightning Die with the eight-sided die. If The Lightning Die lands on a blank side, the roll has a value of 1-4. If The Lightning Die lands on a lightning bolt, the roll result gets added to “4” to create a value of 5-8. 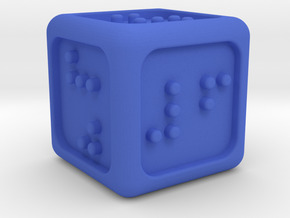 The ten-sided die is a normal braille d10 with a lightning bolt representing the number 10. If you need to roll a d20, simply roll The Lightning Die with the ten-sided die. If The Lightning Die lands on a blank side, the roll has a value of 1-10. If The Lightning Die lands on a lightning bolt, the roll result gets added to “10” to create a value of 11-20. Of course, roll it twice for a percentile roll.